Contiki Holidays held special advance screenings of Allegiant, the third film in the Divergent series, in Toronto, Vancouver and Calgary last night (March 16), in partnership with Entertainment One. She says travel agent partners and past and future travellers were invited to the events, as a thank you for their support and to potentially engage millennials who are fans of the series, but may not have been familiar with the brand. The tour operator, geared at 18 to 35-year-olds, is also giving away a trip for two at http://www.contiki.com/allegiant. “They have a choice if they win of three trips – so they can choose the Best of USA, China Adventure or Eastern Road, which goes through Eastern Europe,” she says. 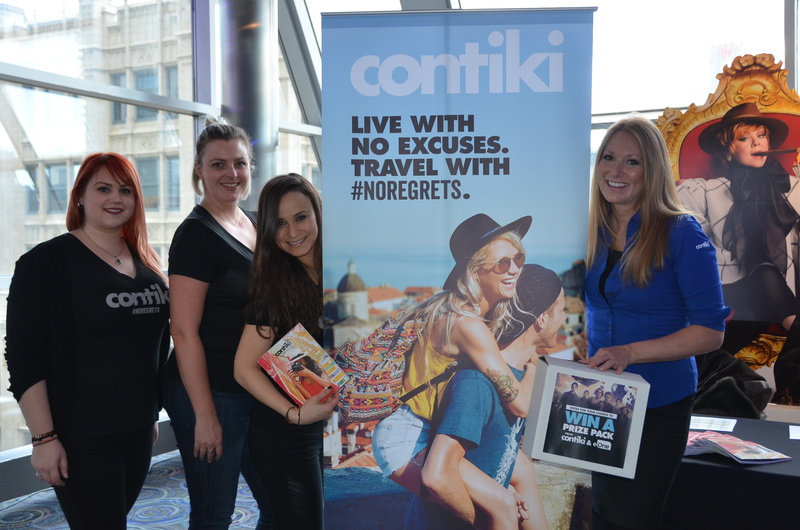 Pictured at the Toronto screening from Contiki are (l-r) Andrea Sadiwnyk, Cara Bogdanski, Erica Adelson and Berg.